Cutler Construction Services, Inc, is a family owned and operated General Contracting company that is focused on Customer Service and Quality Craftsmanship. Our employees are professionals, who are dedicated to providing our customers with the best possible experience. Our attention to detail and customer service distinguishes us from the rest. Cutler Construction Services, Inc. was founded in 1996 by its principal, Josh Cutler. 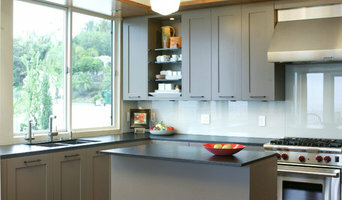 Since then, We have established ourselves as the Premiere Remodeling company in Orange County, CA. Clients can be assured of the quality and professionalism of CCS, Inc. workforce and staff because it is tailored to the unique needs of each client and project. We have developed and preserved long-term relationships with clients by understanding there needs and maintaining our reputation of excellence and honesty while creating quality and timely solutions. Lion Builders, Inc. is a construction company, serving Orange County and the surrounding areas. We specialize in residential and commercial construction and remodeling. We are proud to have assembled a team of experts and professionals with the primary aim to make the customer’s life easier, including Construction Project Manager, Project Supervisor, and Planning & Design Committee. From conception to design to implementation and finalization of your project, we are with you every step of the way, overseeing all phases and keeping you informed and involved your satisfaction. We will thoroughly analyze your project before commencing work, in order to ensure we stay on budget. We will identify any potential problems and do our best to find the most cost effective methods to complete your project. We have remained successful in spite of the competitive and often uncertain market, because of our commitment to our customers, our talent and passion for our work, and the precision with which we complete every task, no matter how small. Trust your home with Lion Builders. We make dreams come to life! As the largest independent builder of custom homes in Coastal Orange County, California, Patterson Custom Homes has built more than 300 homes since its founding over 18 years ago. Led by Founder and President, Andrew Patterson, the company’s reputation for excellence is attributed to its innovative building methods, quality construction, on-time delivery, outstanding warranty service, and lifetime home maintenance program. An efficient process led by a well-equipped team combines to create homes that are unique to each client. 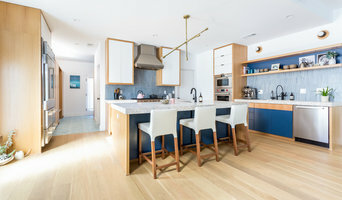 As the leading design-build firm in Coastal Orange County, Patterson and his team are experts at a variety of aesthetics, techniques, and architectural details and are committed to listening to the wants and needs of each client and then delivering a finished product that exceeds all expectations. Patterson Custom Homes has a standing reputation in the community for using materials and building techniques that are of the highest possible standard. The Patterson Custom Homes brand is a brand synonymous with a higher level of specifications, quality of construction and level of finish. The company’s commitment to quality in every aspect of production is evident in the finished product built to outlast generations. Patterson Custom Homes has earned its reputation as the premiere builder of quality custom homes not only because of its construction expertise, but also because of its commitment to providing nothing but the highest level of customer service. The long-term relationships built with its clients is the backbone of the business. Patterson Custom Homes is a company so committed to its brand that it offers an extensive warranty program as well as a one-stop-shop, lifetime home maintenance program to assist clients in keeping their custom homes in the same pristine condition in which they were built. We are a Small Remodeling company that specializes in Making the client Happy! Forehan Construction delivers superior service and a quality product. Our attention to detail and construction expertise provides every homeowner with confidence and comfort. We treat every job as our only one, our team will make sure to treat your home as if it were their own. Your project will be executed professionally and in a timely manner. At Forehan Construction Inc., it is our goal to provide you with exemplary customer service. We want every customer to be satisfied with our work and their project. We achieve these goals by being honest, timely, and diligent. With these principals in place, we can meet almost any expectation of our clients. We look forward to turning your vision into reality. Epic Interiors & Construction, Inc. Builder Boy is a full service general contractor with in house technicians that specialize in additions, kitchen and bath remodels, complete stucco services, cabinet refinishing, custom concrete work, epoxy floors, custom painting, complete drywall and texture service, electrical, plumbing, color and design selection, and historical renovations. Builder Boy is fully insured, and in active good standing with the CSLB and possesses active general contracting, painting and decorating and hardscape licenses and is lead certified. Builder Boy DOES NOT use handy men to perform each specialized task. Builder Boy ONLY uses skilled technicians who specialize in their trade with a minimum of five years of experience. With over seventeen years of construction experience, Builder Boy will ensure that no detail is missed. Hi! We are Attic Insulation Labs, a licensed insulation specialist with a real passion for indoor temperature control. At Attic Insulation Labs, we all come to work every day because we want to solve one of the biggest problems in residential construction – Extreme hot and cold indoor temperatures. We truly believe in the transformative power of a well-insulated and a properly ventilated home. Day by day, we are dedicated to improving our clients lives by adjusting and balancing their home’s indoor atmosphere while saving energy and reducing energy bills. Your sanctuary doesn’t have to become a sweaty summertime sauna; you don’t have to live in an igloo while running your energy consuming heater twenty-four hours a day, seven days a week. At Attic Insulation Labs We have the knowledge and experience to find affordable solutions for your home’s insulation needs. The LABS crew are the Navy Seals of the insulation world. A small elite team that always gets the job done right… For you. We strive for efficient, uncompromising, sincere, fabulous, caring and exceptional service. We are excited about building strong relationships with everyone we interact with; our customers, our community, and our suppliers. We specialize in project management, new homes, remodels, kitchens, bathrooms, exterior hardscape, outdoor living spaces, backyard and garage renovations. We have over 25 years of strong and diverse experience in commercial and residential construction. J Bowen Construction is a leading general contractor in Orange County, specializing in remodel work. Quality and speed are our strengths! Our business is licensed, bonded and insured. Contractor has a decade of experience in quality product with attention to detail. We look forward to working with you soon! 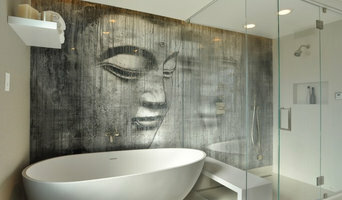 FREE 3D DESIGN with any Kitchen or Bathroom Remodel! *Houzz Members Only* Hi-Tech Builders Inc, has been family owned and operated since 1991. For over twenty years we have offered our clients quality construction services that fit homeowners needs. At Hi-Tech Builders Inc., we are committed to providing the highest quality craftsmanship ranging from basic repairs to full-scale remodeling. Our company prides itself on giving special attention to meeting budget and timeline requirements. Chris Riggins Construction Inc is a leading Orange County Ca Design/build firm with specific knowledge in Residential Design and Construction. Our ideal client seeks the skills and knowledge of a professional design/build team; one which can take their project from conception to completion. SoCal Contractor is a one stop shop for interior design, construction and remodeling of residential, hospitality and commercial interiors, exteriors, landscape and interior architecture. SoCalContractor is an award winning interior design firm and a licensed & bonded California contractor, allowing for a seamless design-build experience for major renovations, remodeling, historical preservation, room additions and new construction. (Interior design and construction teams may be hired individually.) The firm works with the best and most well regarded artisans, manufacturers and vendors in the world. The company's work has been featured in magazines, websites and television screens throughout the world including Architectural Digest, Elle Decor, LUXE, Dwell, People, the New York Times, House Beautiful, Coastal Living, Los Angeles Times and is recognized by industry leaders like HGTV, ASID, NBC, Viking and countless others. John Padgett Design, Inc. was founded on the belief that construction should be based on quality and a unique and functional design all within the constraints of each client’s individual budget. Since 2005 we have gained extensive experience in kitchen and bathroom remodels, however we also work on full home remodels, property rehab and new construction when the opportunity arises. John is fully involved in the design process and selection of materials from the project’s onset and works closely with the client to achieve the ultimate goal – quality projects, on time, functional, within budget and aesthetically exciting. Design Material Consultation Budget Project Management We eagerly await the opportunity to discuss your current project! General, or construction contractors, are often known as project managers. They oversee the entire remodeling or new home construction project and facilitate all day-to-day tasks that move it toward completion. A Santa Ana general building contractor will work with your architect to review plan as you build a house and ensure everything is in place before work is started as well as arrange for permits and necessary inspections. While good local home improvement contractors in Santa Ana will have the skills to handle certain tasks onsite, such as carpentry, he or she is also responsible for hiring subcontractors for the majority of jobs, such as electrical work, painting or plumbing. In addition, the general contractor should be on-site regularly to inspect the progress and resolve issues. Here are some related professionals and vendors to complement the work of general contractors: Architects & Building Designers, Interior Designers & Decorators, Landscape Architects & Landscape Designers, Kitchen & Bath Designers, Specialty Contractors. Home remodeling contractors are a must for successful completion of a renovation. Because of this, it's essential that you do your homework before deciding on the right general contractor in Santa Ana as you remodel or build a house. Inspect bids carefully. Was it ready when the contractor promised it? Was the bid for building a home unusually high or low? Each of these things can be very telling: A late bid may reflect timing standards, and an off-the-mark bid could be code for a pricey premium or a deliberate underbid to score the remodeling job. You should call references, carefully read reviews and visit completed projects in Santa Ana, CA to see if they’re what you expect for your job. Once you do secure your local Santa Ana contractors, read the contract very carefully to be sure everyone is on the same page. Find a Santa Ana contractor on Houzz. Narrow your search in the Professionals section of the website to Santa Ana, CA home contractors. You can also search for photos in Santa Ana, CA and contact the Santa Ana general contractor who worked on the project.